Most people call me a “nutritionist” but I usually don’t correct people. I don’t mean to be a snob about it, but there is a pretty big difference. Registered dietitians (RD) are “food and nutrition experts who can translate the science of nutrition into practical solutions for healthy living”, according to the Academy of Nutrition and Dietetics. One could argue some nutritionists are also food and nutrition experts, however, the difference lies in credentialing. In some states, an individual can call themselves a “nutritionist” without any formal nutrition education, training, licensing, or certification. Go to Google and search “how to be nutritionist” and you’ll find online programs as short as six months. Or, even self-study programs taught by wellness “experts” with millions of Facebook and Instagram followers listed as part of their background and experience. Having thousands or millions of social media followers doesn’t mean someone has proper education or experience to recommend sound nutrition advice. A certified nutritionist (CN) is only required to have an associate’s degree or take six classes total. A certified nutritional consultant (CNS) only has to pass an open book exam. And some people can call themselves a nutritionist with as few as three classes. 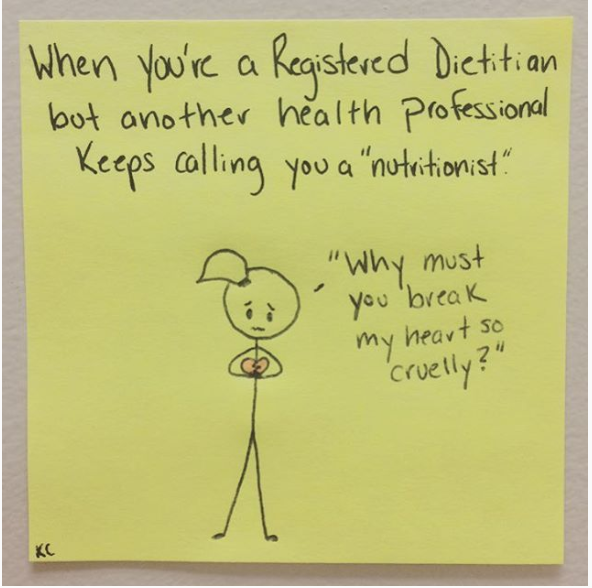 Unfortunately, almost anyone can call themselves a “nutritionist” without any overseeing body, passing of a board exam, or continuing education. Whereas, registered dietitians have extensive requirements, training, and continuing education. Bachelor’s Degree from a US regionally accredited university or college and course work accredited or approved by the Accreditation Council for Education in Nutrition and Dietetics (ACEND) of the Academy of Nutrition and Dietetics. ACEND-accredited supervised practice program with a minimum of 1,200 supervised practice hours. Passed a national board examination administered by the Commission on Dietetic Registration (CDR). Additionally, by the year 2024, all entry-level registered dietitians will be required to have a master’s degree. Don’t get me wrong. Just because someone is a nutritionist doesn’t mean they aren’t knowledgeable about nutrition. The problem is it doesn’t mean they are knowledgeable either. I’ve worked with patients who had previously worked with a nutritionist and unfortunately experienced detrimental health effects related to inappropriate recommendations made by the nutritionist. Medical Nutrition Therapy (MNT): Nutritional diagnostic, therapy, and counseling services for the purpose of disease management. The foundation of recommendations provided by RDs is backed by evidence-based recommendations, or recommendations backed by research. Which is exactly what you’ll find here at Wholesome LLC. Not only can the education of a nutritionist vary greatly, so can the nutrition education of a physician. Did know, a course in nutrition is not even required in medical school? Although some medical schools teach a nutrition course, chances are these medical students receive one semester or less of nutrition education. Yet, many individuals seek nutrition recommendations from their physician. Physicians are (typically) not nutrition experts. Do I expect them to be? Nope. This is how I think about it. The doctors I work with are oncologists, specializing in cancer. If I were one of their patients, I would want them to understand cancer, the numerous types, and the best possible treatments like the back of their hand. As you can imagine, that takes countless hours of education, practice, and continuing education. There is no time for nutrition education. That’s where registered dietitians come in. We are nutrition experts, who dedicate their career (and often their life) to nutrition. 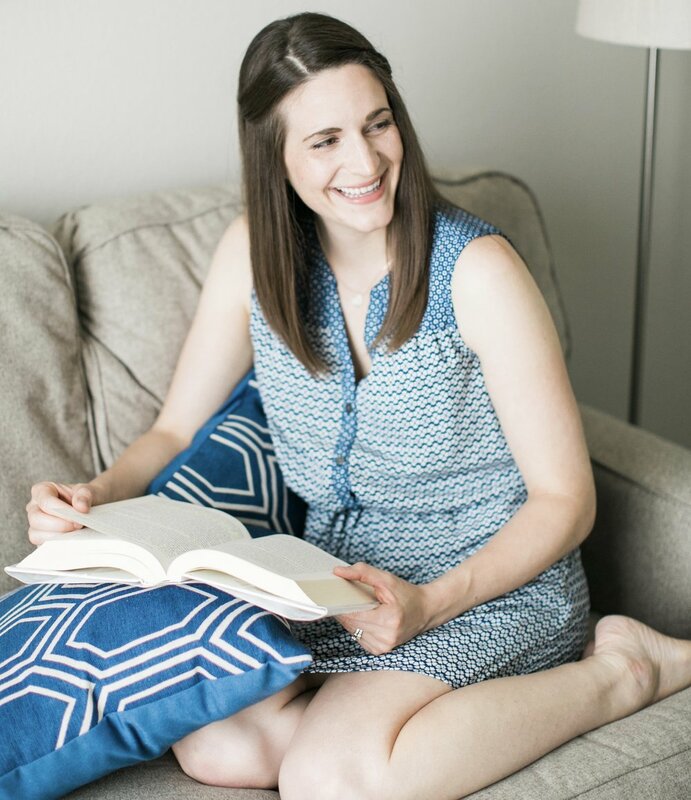 If you ask my husband, he’ll be the first to tell you I have dedicated my life to nutrition, nutrition research, and all the nerdy things that come with loving nutrition. Not only is nutrition what I do to make a living, it is what I live for (second to my family). I strongly encourage you to seek evidence-based nutrition information from registered dietitians, rather than nutritionists. You won’t see me providing specific exercise, medication, or physical therapy recommendations here. Why? Because I strongly believe in staying within my own scope of practice--nutrition. Focus on getting credible information from those practicing within their scope of practice. When looking for nutrition recommendations on the internet, consider your sources. Who is writing the article? Are they credentialed and/or licensed? Are references cited for specific recommendations? Or, does it appear to be a matter of their opinion? Anyone can write a blog. Even me! While I’m on my soapbox for dietitians, just a couple more things . . .
Dietitian is spelt with a “t” not a “c” (dietician). And, if you work in the healthcare profession, please don’t refer to us as “dietary”. We hate that. Image from @goodfoodbaddoodles, because i find her posts hilarious.